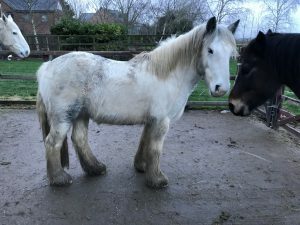 Description – Hoggle is a grey, 13.2hh, 6 year old, Cob x gelding. History – Hoggle and his brother were signed over to Bransby Horses due to their owner no longer being able to meet their basic care needs. Behaviour & handling – Hoggle is a lovely laid back lad who is right at the beginning of his education. He has been long lined around country lanes and lightly backed. He has also been on short hacks with a rider on and really enjoys himself. Hoggle is always stood watching when the other horses go out riding and loves getting himself involved in the action. Hoggle is good to catch and lead. 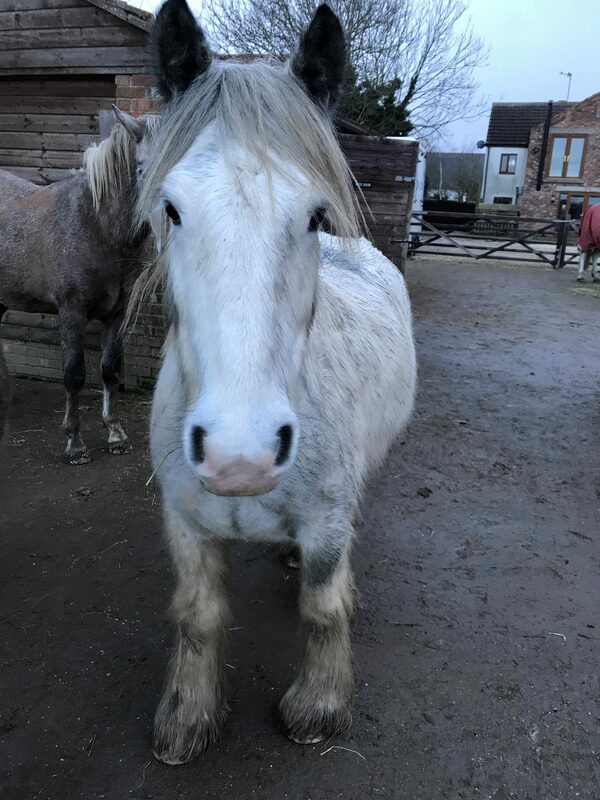 Perfect match – Hoggle is looking for an experienced home that can continue his education and give him the time and patience that he needs to become a ridden horse and a special part of the family. Stable/shelter – Hoggle will quite happily live out all year round, he currently comes into a crew yard at night. Companionship – Hoggle currently lives, passively with three other geldings. Forage/feed – Hoggle is a good doer so will need a carefully managed diet of hay and grazing. Rugs – Will only need rugging if in work and suitably clipped. Feet – Good with farrier. Currently barefoot. Clip – Good to clip.